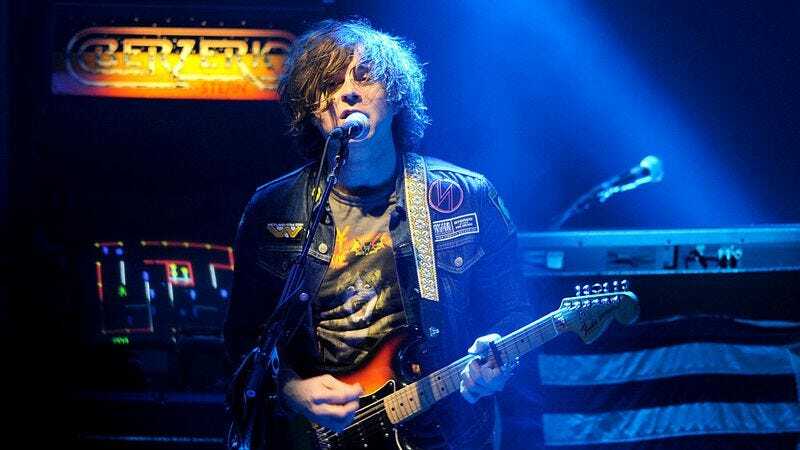 After his solo debut, Heartbreaker, Ryan Adams released the Top 40 adult alternative-ready album Gold. At the time, Adams was primed to be the new Paul Westerberg: an earnest rock ‘n’roller romantic enough for the broken-hearted, but with enough Keith Richards swagger for the guitar-rock crowd. Demolition split the difference pretty well with ballads and rocked-up odes to lost loves, but after Rock N Roll—a U2-meets-Joy Division ode to ‘80s post-New Wave—Adams ditched his harder rock sound to focus on more traditional country shuffles and lap steels. According to Entertainment Weekly, though, Adams is plotting a return to that new wave-meets-country sound on his recently announced new record, the follow-up to his redux of Taylor Swift’s 1989. “When I run, I listen to [an iPod] Nano that I have,” he says. “I put all the AC/DC records on from back to front, or I’ll listen to the best of stuff from the ’80s—Springsteen, or Hornsby—and I’ll listen to what is going on there.” EW describes the guitar tones on the record as being akin to Bachman Turner Overdrive and ELO, implying a sound closer to Adams’ abandoned Pinkhearts sessions: straight-ahead, Tom Petty-influenced rockers, not as aggressive as his Husker Du-influenced EP 1984. The new album will hit stores on November 4, presumably on Adams’ label Pax-Am.